A chic city cocktail haven, Skylounge boasts a glamorous bar stock and spectacular views over neighbouring Tower Bridge. Head out onto the parasol-dotted, 12th-floor terrace when the sun shines, and listen out for the sizzle of Skylounge's barbecue. When the weather's less than clement, guests can lounge indoors, with spectacular full length windows framing those famous city views. Skylounge gyms, sporting activities, health & beauty and fitness. The best pubs near London Skylounge. Skylounge clubs, bars, cabaret nights, casinos and interesting nightlife. 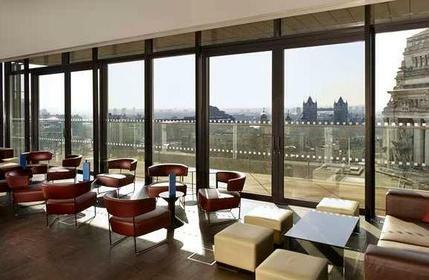 Where to have your meeting, conference, exhibition, private dining or training course near Skylounge. From cheap budget hotels to luxury 5 star hotels see our special offers for Skylounge hotels, including Apex City of London Hotel from 89% off.